Get ready for yet another DJ Svoger lovechild… it’s time for the third round in our ‘Rooftop Mix’ selection – which means lower bpm, more mellow, still danceable and very laid back in the classy DJ Svoger kind of way.. Our ‘Rooftop Mix’ has always been handpicked quality lovesongs, who will suit perfectly on a terrance in Ibiza or in a rooftop bar in Asia. 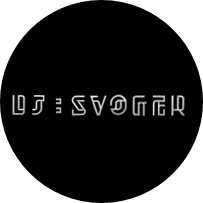 For any newcomers; DJ Svoger creates a monthly mixtape with some of the hottest track in that current month, which is our Flagship product – but on top of that, we produce different kind of mixtapes like our “Sound of Sundays” with very ambient tracks mixed together or our “Friday MiniMix” which 30 minutes of pure partystarter ingredients, “The R’n’Hopster Mixtapes” is a new idea, which is comtemporary R’n’B grooves mixed with Hip Hop anthems to the local hipsters… you know: R’n’B + Hip Hop + Hipster = “R’n’Hopster Mixtape” and of course the “Roofttop Mixtapes” which this post is all about. We hope that you’ll get the picture of the wide range of the DJ Svoger productions and our music selection for every occasion.